Earn $49.99 in VIP credit (4999 points)What's This? 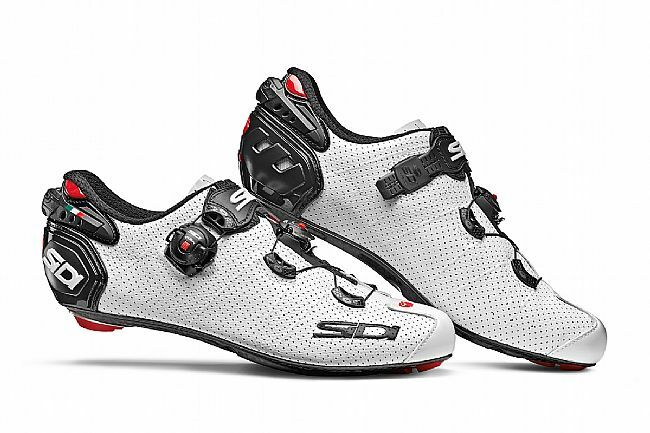 The Sidi Wire 2 Carbon road cycling shoe is new for 2019 and features a number of refinements: the lower dial closure moves to the center top of your foot for more even tension, the upper strap is smaller and lighter, traction pads are replaceable, and the full carbon outsole has vents for cooling. This "Air" variant of the Wire 2 Carbon features a perforated upper for maximum ventilation and breathability.